Since the beginning of history, Anatolia, well known as one the earliest settlements, has continued to flourish with the migration of various tribes, and accumulated a large cultural heritage through a line of succeeding empires and civilizations. Many empires ranging from the Sumerians to the Hittites, the Lydians to the Byzantines and the Seljuks to the Ottomans have once thrived and expired within the borders of Turkey..
Home to many diverse cultures, religions, empires and civilisations, Anatolia is situated in the middle of three continents and has always been a hub for cultural interaction, dating back to as early as 24th century BC. 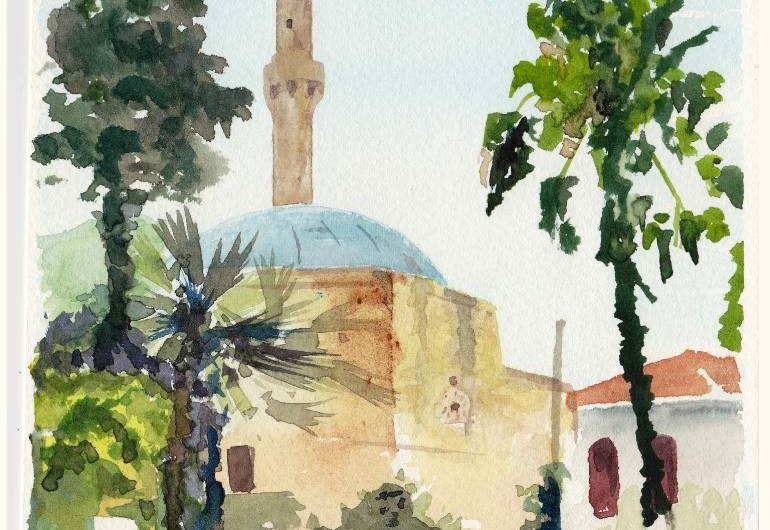 Surrounded by the Black Sea, the Aegean Sea and the Mediterranean Sea, the Anatolia Peninsula is home to varying climates enabling vegetation and therefore human settlements. 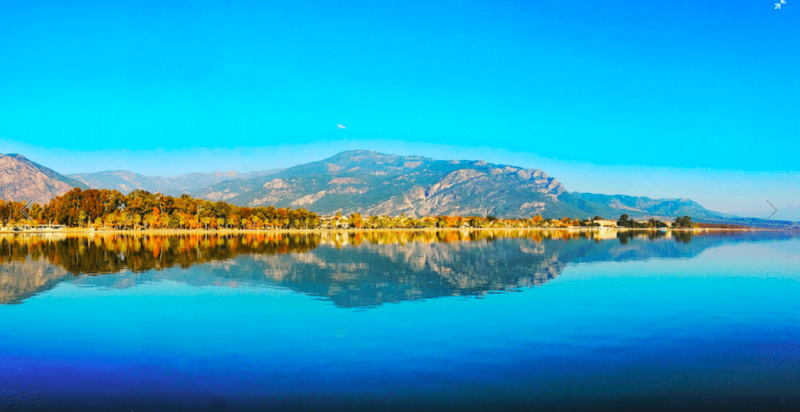 TIP – There are many tours departing from Dalyan you can join to explore some of the most impressive historic sites and towns. 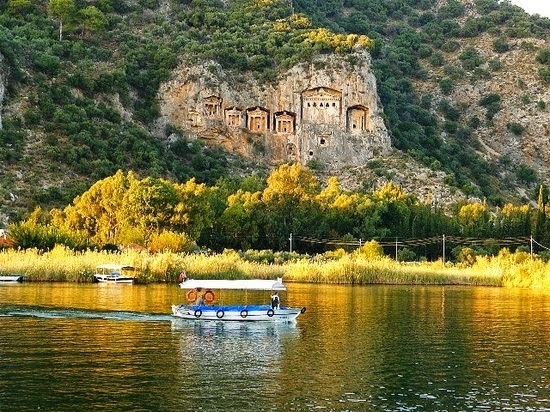 You are, after all, in Dalyan, where a rich variety of tribes and nations has risen and fallen since 3000 B.C. 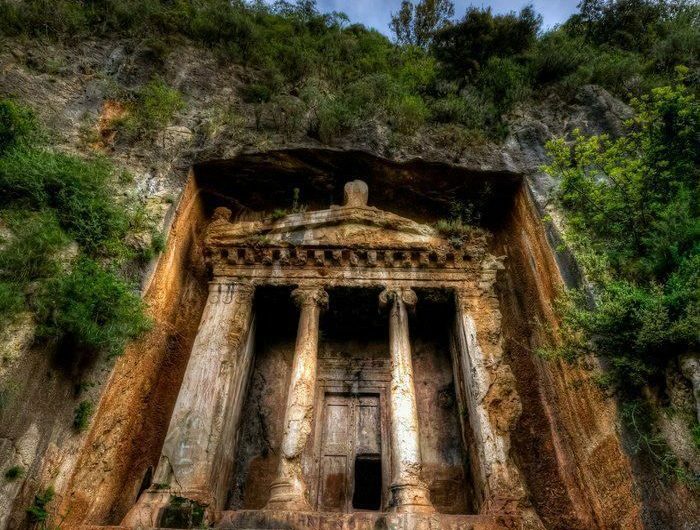 It is home to legendary landmarks such as the Lycian Rock Tombs, ancient city of Caunos, and so on and so forth, thus there’s no point or pride in avoiding historic landmarks. 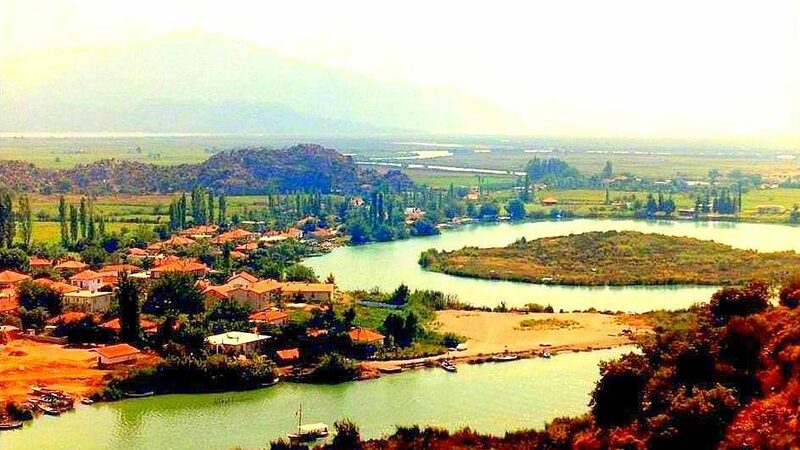 In these pages you will not only find in depth information of Dalyan’s rich history from early ages to present day, but you will also find articles about other historic sites that surrounds the Dalyan area aswell as in other parts of Turkey. The most ancient find of the Caunos excavations is a piece of a protogeomeric amphora dating back to the 9th century BC. In addition to this, the geometrical style designs of ceramic vessels patterned with concentric circles drawn between lateral bands or with semicircular motifs, were products of local pottery workshops and Herodotus’ comment that the people of Caunos were the natives of the land, brings to mind a settlement that dates far back. However, no architectural objects that can be dated to before the 4th century BC have been found in Caunos as yet. 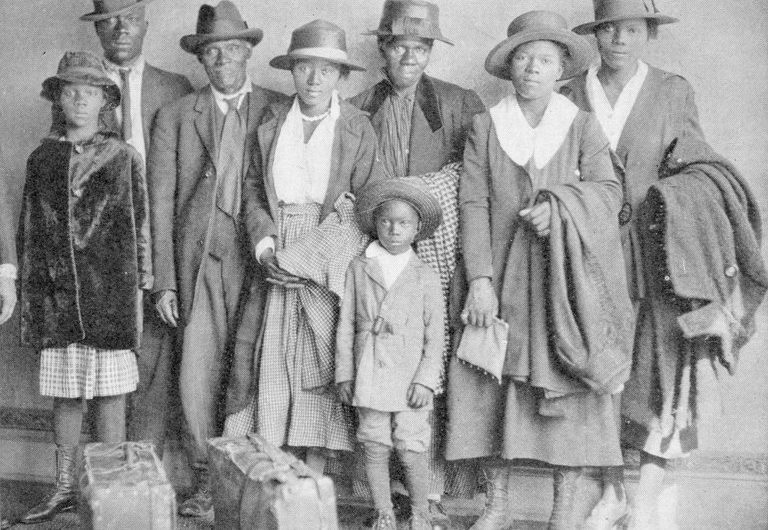 In the Anatolia of antiquity many people some of whom were natives of the land and others immigrants, lived in separate regions defined by geographical boundaries Historians and geographers of the First Era used to give the names of places according to their inhabitants. That is why Caria means Land of the Karians.” This country of mountains, highlands and plateaus cover the south of today’s Aydın, the southwest of Denizli and the entirety of Mugla (apart from Fethiye). 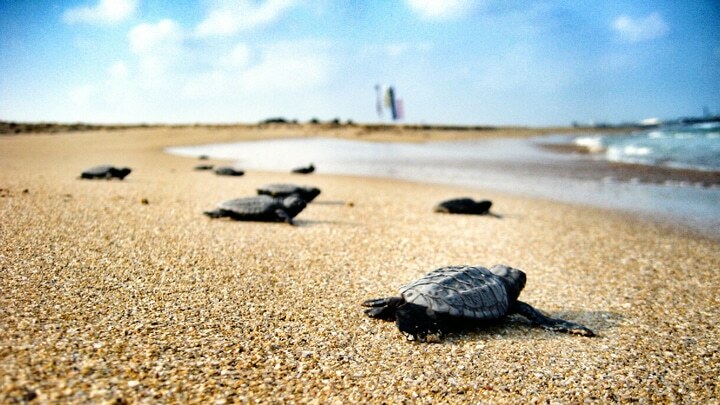 This expansive area encompasses the lace-like Aegean coast, bays, peninsulas and islands. When the Ottoman Empire, despite its many victories was ultimately defeated in the first World War, the Moudros Treaty was unwillingly signed and the whole of Mugla Province was left to the Italian forces. Interested in the rich chrome deposits in Köycegiz and its vicinity, the Italians placed a small garrison in Köycegiz to control the region. 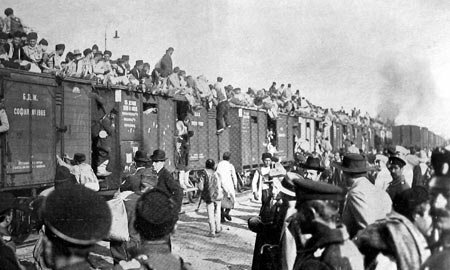 Although in occupation, the Italians treated the locals and Ottoman officers fairly, (even turning a blind eye to the organisation of the National Forces), and quietly after the War of Independence. In the 18th century large farms were established on miri land in order to meet the alimentary needs of the Ottoman palace, the army and horse breeding industry. The Dalaman Farm, which Sultan Selim III granted to his mother Mihrişah Sultan, was taken under the administration of the Foundations Corporation in 1820 and was purchased by the inheritors of Hacı Ali, Lord of Mugla, in 1836. 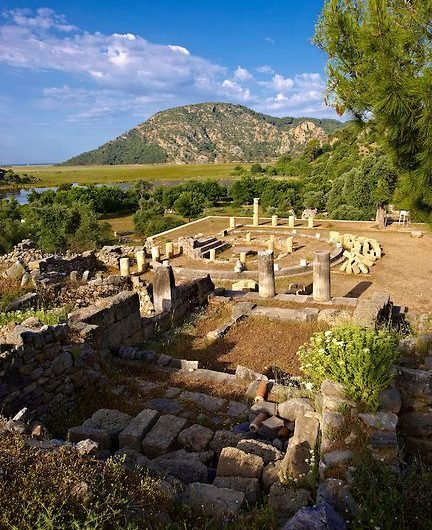 Although no ruins of architectural samples dated to before the century have survived, many graves were found during once 16th foundation excavations in the present town of Dalyan. Evid of a large cemetery indicates that there was once a deep-rooted and large settlement here. 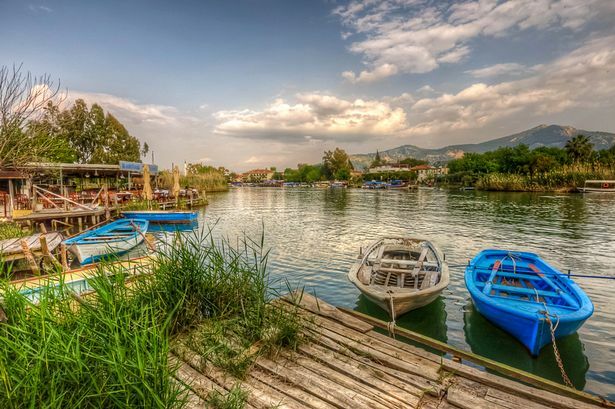 Another known fact is that in Dalyan, Turks and Greeks lived together until 1924, as is the case with many other coastal settlements of Anatolia. 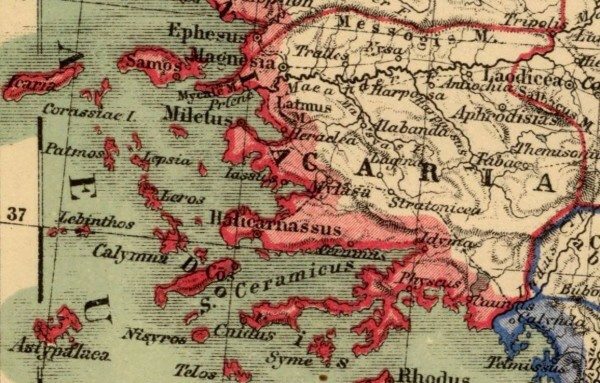 After Turkish tribes invaded all the Christian lands to the north of Caria in the 1300s, Caunos experienced a severe population decline resulting from the economic implosion of maritime trade. Additionally, a malarial epidemic brought the city to its knees and it was finally abandoned. When the ancient city was heavily damaged by earthquakes, it was covered with earth that then grew a dense vegetation, hiding it from view. Eventually two new settlements budded within the vicinity. 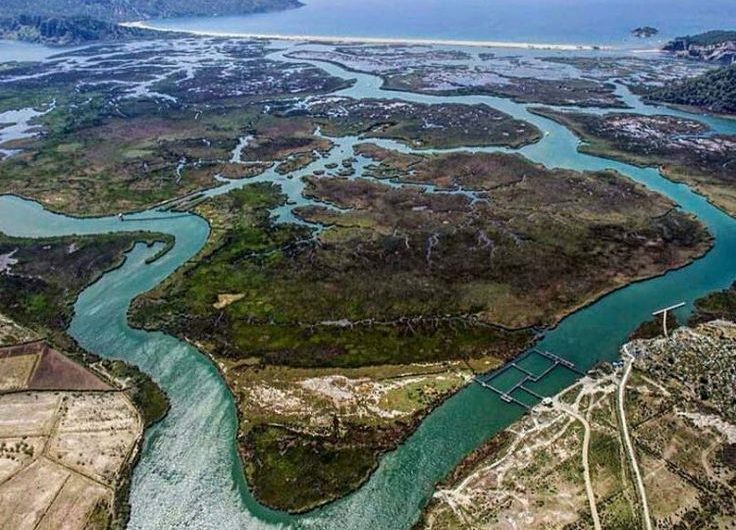 Boats travelling from Dalyan to the Iztuzu Beach pass through the gate of a fish trap constructed of gauze stretched between poles, so as to block the fishes from one side to the other. 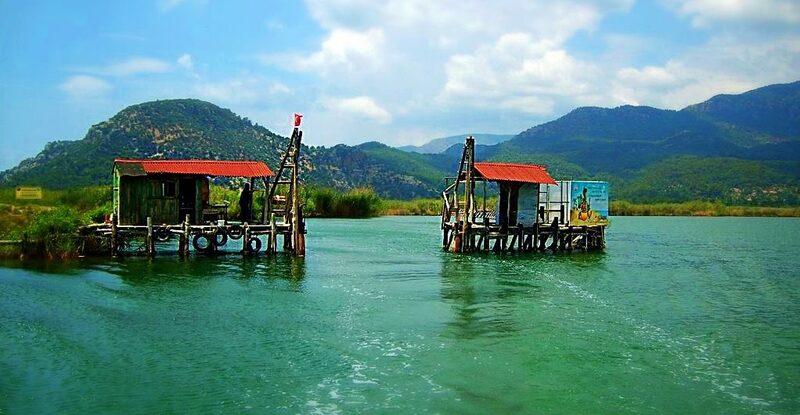 A “Dalyan” in fishing terms, is controlled by a watchman’s post, before boats enter the delta’s labyrinth of reed islets and complicated waterways. It is customary to salute the fish trap watchman while going in and out of this gate, which is sunken below to provide passage for the boats and raised back in place immediately after the boat has passed. Spread out all along the river banks, and dotting the Delta like an archipelago, the tall plumes of reeds whisper a very old story in the soft breezes. 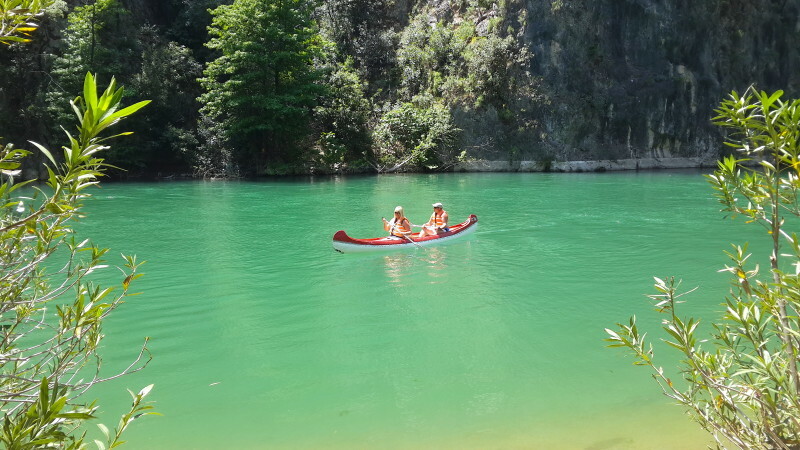 This is the tragic tale told by Ovid in his masterpiece “The Metamorphoses”, about the birth of the Calbis River and legendary King Caunos, who founded the ancient city named after him. According to this legend, Caunos and Byblis, twin children of King Milatos, were very attached to each other. Spread out all along the river banks, and dotting the Delta like an archipelago, the tall plumes of reeds whisper a very old story in the soft breezes. 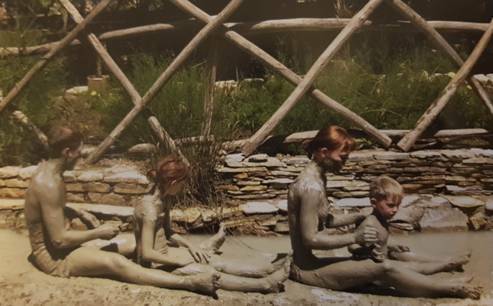 This is the tragic tale told by Ovid in his masterpiece “The Metamorphoses”, about the birth of the Calbis River and legendary King Caunos, who founded the ancient city named after him. According to this legend, Caunos and Byblis, twin children of King Milatos, were very attached to each other. 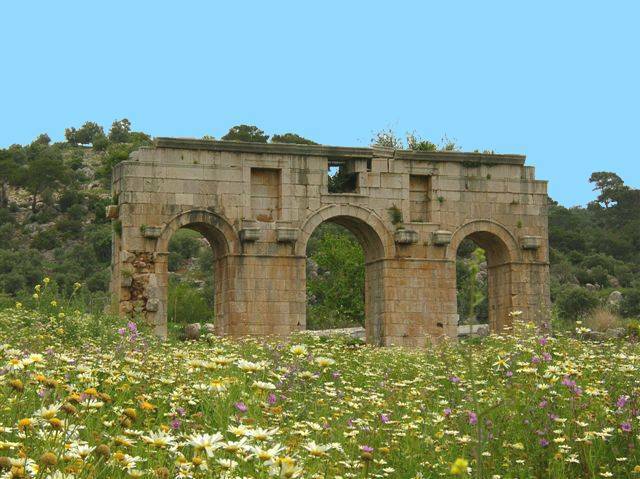 Archaeological research has shown the existence of an ancient sanctuary dedicated to the Goddess Leto in the vicinity of the Sultaniye thermal springs. According to Greek myth Leto, daughter of the Titans Koios and Phoibe, gave birth to the twins Apollo and Artemis of the Greek pantheon following her union with Zeus. 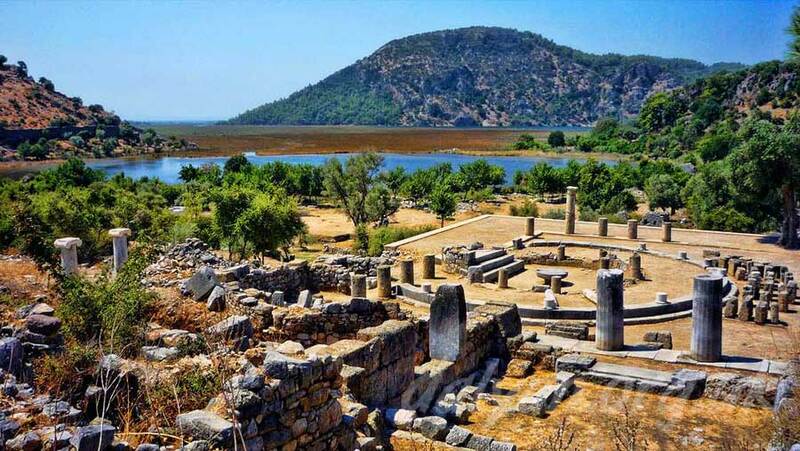 The most important cult centre of this mother goddess of Anatolia, especially of the Lycian origin and her two children is the Letoon sanctuary close the Xanthos, where each have a dedicated temple. 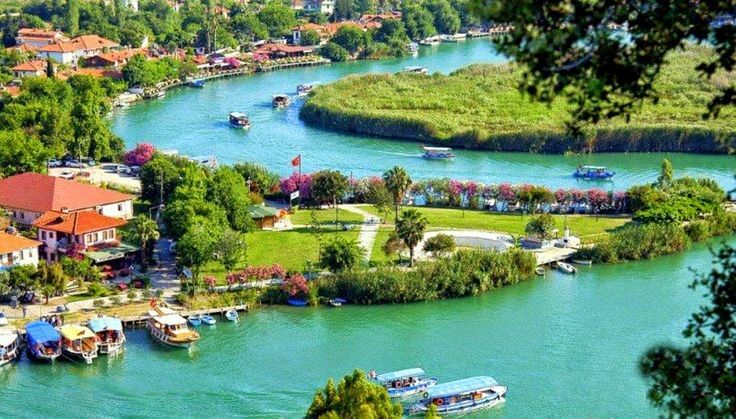 The Köycegiz district, stretching at the side of the glittering green water of the Köycegiz Lake like an island of pack, is surrounded by the Mediterranean pack of the Western Taurus mountains to its north. The Olemez Mountain which is an extension of the Cankurtaran Mountain, the Kızlan mountain forming the last peaks of the Sandraz Mountains in the north and the Pandaluz Mountain to the northeast create a magnificent scene with these thick woodlands. After Seljuk Sultan Alparslan's victory over the Byzantine army on Manzikert plain in 1071, Anatolia became the Turkish homeland. 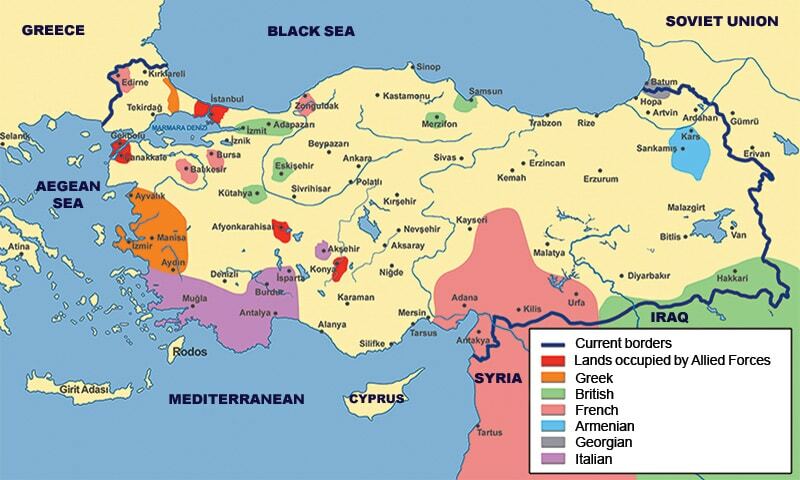 Kilic Arslan II added almost all of Caria to the lands of the Selcuk State with his raids during 1093-1095. The settling of Turkish tribes coming in waves from central Asia in Western Anatolia against the Byzantine border accelerated this spread. Anatolia was shared among small emirates that became independent during the chaotic period which started when the Mongols took Anatolia after the Anatolian Selcuks were defeated by the Mongol Ilkhanate in the battle of Kösedag in 1243 and lasting until 1300. 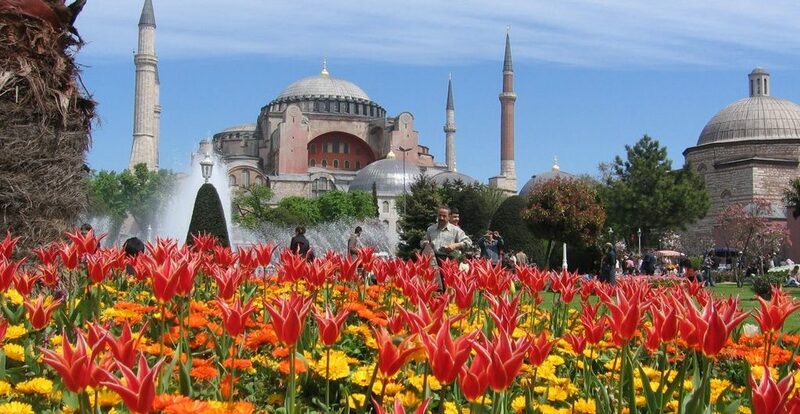 This state of affairs continued until Sultan Mehmed II, the Conqueror united Anatolia until Ottoman rule. After Seljuk Sultan Alparslan’s victory over the Byzantine army on Manzikert plain in 1071, Anatolia became the Turkish homeland. Kilic Arslan II added almost all of Caria to the lands of the Selcuk State with his raids during 1093-1095. The settling of Turkish tribes coming in waves from central Asia in Western Anatolia against the Byzantine border accelerated this spread. Anatolia was shared among small emirates that became independent during the chaotic period which started when the Mongols took Anatolia after the Anatolian Selcuks were defeated by the Mongol Ilkhanate in the battle of Kösedag in 1243 and lasting until 1300. 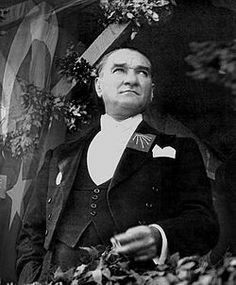 This state of affairs continued until Sultan Mehmed II, the Conqueror united Anatolia until Ottoman rule.